Jennifer Zandbeek (pictured above) is the Trust’s Learning & Development Manager and provides the link between our partner Universities and our Trust. Jennifer has played an integral role in designing the training programme so can assist you with any queries regarding this. 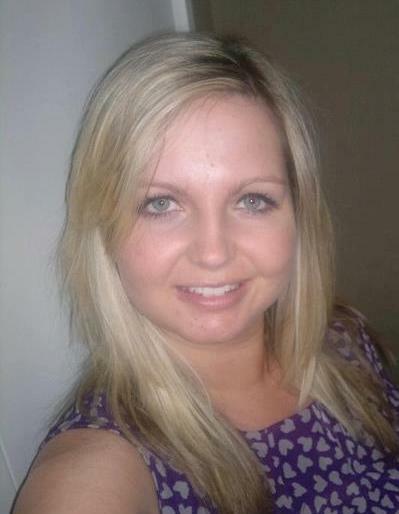 Louise Harris (pictured above) is a Recruitment Advisor specialising in the employment of our operational workforce. Louise can assist you with advice on the recruitment process including completing your application form, the entry criteria for the post and also answer any questions regarding the Student Paramedic Fixed Term Contract. I’m 21 and have currently not been granted towards going to university as a I applied for a foundation degree in paramedic acience. due to me not getting many Ucas points I wasn’t successful, I have applied for patient transport service jobs on the NHS website and wasn’t successful! My dream is to be a paramedic however I’m not sure which route I could take as I’ve been looking towards a raf career as an raf medic however I’m emailing you as that would be the last option. Thank you for your question. All shortlisting is done against the person specification which can be found on NHS Jobs at http://www.jobs.nhs.uk. There are various pathways to becoming a paramedic – it is difficult to advise you without more information. So that I can best help you, could send me your telephone number and I will call you on Monday afternoon. Hi, all my way through school I always wanted to become a paramedic and I even went on to college and studied public uniformed services which is all three emergency services. After I left college I didn’t know what to do and I am wondering if you can help me? I don’t know which I’d the best way for me to become a paramedic because as far as I was aware the nearest uni that does paramedic science to stoke on Trent was Coventry but iv got two young kids and I would miss them an awful lot if I had to move all that way. It wod be a dream come true to become a paramedic. Staffordshire University has a paramedic programme aligned with WMAS. There are a number of pathways to becoming a paramedic; if you call me on 01384 246 335 we can discuss which options might be best for you. 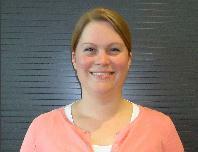 My name is Amy and I am currently completing my pre-registration pharmacy technician course. I would love to be a paramedic and have seen a job application on the NHS jobs website for a student paramedic. I have looked through the links attached and have a few questions that I am unsure about. I have 5 GCSES at Grade C or above including Maths, English and Science however I do not have an A level. As of 22nd August 2013 I will have an NVQ level 3 certificate in pharmacy service skills and a BTEC level 3 in pharmaceutical science. This will allow me to register as a Pharmacy Technician. I have previous experience as a healthcare assistant at a care home and I am obtaining my pharmacy technician qualification in a hospital setting. Do I meet the entry requirements? Also, I do not qualify as a pharmacy technician until 22/08/13 and so would be unable to start the course until then. The student paramedic information pack attached says that the candidate needs to be able to start initial training on or around 20/05/13 or 24/06/13. I would be more than happy to work weekends and evenings until I qualify if that would be possible unless the course would allow me to start training when my contract expires with my current placement. With regards to training, do I need to find my own university placement? Or does that come with being successful at obtaining the post? I was also wondering if it would be possible to meet with somebody to discuss the course and perhaps have an experience day. I have a large interest in this field of work and would be very grateful if I could spend some time with a paramedic. I’d like to discuss with them the highs and lows of being a paramedic and generally pick their brain about the course and the job itself. You must have the qualifications at the point of application. However, there are a number of pathways to becoming a paramedic. If you call me on 01384 246 335 we can discuss which options might be best for you. I am currently working as bank pts and looking at options to further my career to Technician or maybe Paramedic level can u help me ? Hi David…in the New Year, the Trust will be recruiting student paramedics. Keep an eye on NHS Jobs for more details. The alternative way forward is to do a paramedic science degree at one of our partner universities – Staffordshire, Worcester and Coventry. Hope this helps, but if you’d like more info please contact our recruitment team on 01384 215555. Hi. I am a 24 year old deputy manager of childrens daycare. I am very interested in becoming a student paramedic and have recently joined St John ambulance. I have 6 GCSEs above c grade. I also have level 3 and 4 in childcare. I am also looking into completing level 4 in health and social care. My interest is to become a student through a scheme and qualify on the job as I have a young family. I would appreciate some further information on what to do next and if I have relevant qualifications to become a student. HI Charlotte…so that we can give you advice that is relevant to you, could we suggest that you contact the Recruitment team on 01384 215 555 and discuss your personal circumstances. I’m sure they will have all of the answers you need. Good luck. Hope both of you are well. Just a quick question: regarding the fitness assessment for the student paramedic programme, do you have any idea what 117 kg force is in kg weight for the leg and back deadlift strength test? We’ve forwarded your question and will come back with an answer as soon as possible. If that’s the case, could I suggest you contact Paul Tolley in our Training Dept and have a conversation – you can reach him via our switchboard on 01384 215 555. I have been doing 40/45 kg deadlift squats at the gym, so I’m hoping I’ve cracked the leg and back strength test. I’ve kind of figured out that 117kg force is just above 50kg live weight, but as it’s deadlift weight I’m hoping it’s lower than live weight & sort of the same weight as the PTS apprentice carry chair fitness test. Thank you for your message though. I’ll keep adding on the weights at the gym and contact the number above as soon as I can. Hi Laura, how did you get on? Was the weight similar to that of a 50kg deadlift? Ive applied for the student paramedic course, and was just wondering what the stages of assessment was? Ive been told a few conflicting things fromm friends. I now know the first stage is numeracy, literacy, highway code and problem solving. If im successful with this stage what do I hav to look forward to? Hi Tim…we’ve forwarded your question to recruitment and will come back to you as soon as we hear back. Thanks for taking the time to ask. They also said that if you require any more information please feel free to contact the Recruitment Department on 01384 215 896. I am applying for a student paramedic post and I wondered if you can give me any advice as to what the fitness and driving test involves? I have my c1 provisional but I have never driven anything other than a car. I’m a little nervous as to what to expect. Also I am reasonable fit and healthy but would you suggest I get help with training for the fitness test? I am really passionate about becomeing a paramedic and I have extensive health care experiance, but I’m worried these two things may let me down on interview. Give our Rectruitment team a call – they will be able to advise. Hi Lisa…thanks for your enquiry and apologies for the rather slow response. There is a good deal of information on our website http://www.wmas.nhs.uk/Pages/Student-Paramedics.aspx which may assist you. If you have other questions, then probably best to give our Recruitment Team a call on 01384 215 555. Hope that helps and good luck. My name is Jack and I volunteer for the British Red Cross as a Event First Aider and hopefully IHCD Ambulance Crew soon! I also study BTEC Health and Social Care at college just a quick question about your in house paramedic course. I struggle with GCSE english and had to retake it this year at college this is because I got asperger’s syndrome and learning disabilities would I still get support in the in house or will I get more at uni? Also how many ucas points is the in house as the advert only says a level 3 qualification or a level? Hi Jack…the best people to talk to about your questions would be the recruitment team. They can be contacted at recruitment@wmas.nhs.uk or by ringing 01384 215 555 during office hours. Hope that helps and good luck. I recently applied for the student paramedic role and wanted to ask what fitness test consited of? I also wanted to ask whether there were any sample papers for the literacy and numeracy tests? We’ve forwarded your message to our Recruitment Department. They’ll be in touch with some information for you. I’m very interested in applying for a place as a student paramedic, as far as I’m aware I have the necessary academic qualifications and I’m working on getting ny driving license. I was just wondering what the other entry requirements are, for example any fitness requirements? We’ve forwarded your enquiry to our recruitment department. They should be emailing you back. Hello, my name is Hannah and I am 30 years old. I have a psychology degree and have been working in retail as a manager for 7 years now. I am really looking into training as a paramedic and I wondered if I could get some more information from you? Do you have to do a three year degree programme or can you train on the job as a post-grad? How would I apply? I’m based in Hereford. Thanks ever so much. Look forward to hearing from you. Hannah. Hi Hannah…There are two main routes in. : the first is on one of our student paramedic programmes. We are shortly to start recruiting to the next one. It’s a 30 month fixed term contract that is based on on-the-job training – you come out with a Foundation Degree. You are paid while you undertake the course and guaranteed a job if you pass. If you’d like more details, go to our website http://www.wmas.nhs.uk and look at the ‘work for us / recruitment’ pages and there is loads of information. The second route in is by doing a degree at Uni in paramedic science or the like and then applying to us for a job. I’m not sure what credits you’d get for the psychology degree – possibly best to speak to our Recruitment Team on 01384 215 555 and discuss your personal circumstances with them – they’d be happy to offer advice. Hope that helps and good luck for the future, whatever you decide to do. Hello, I hope you can help. I have my first assessment on Friday which is the numeracy, literature and highway code. I only got told on Saturday that I have this and have little time to prepare! Could you give me any clues on what kind of numeracy questions are asked please as maths is not my strong point! I wanted to become a paramedic-I currently work for the nhs a therapy support worker. If i wanted to start of a EMT how would i go about it. Where do i apply for the course? Hi Shukria, thanks for your message. We are only recruiting paramedics not EMTs and, sadly, you’ve just missed the latest recruitment drive. There will be more though. If you want some advice, please email recruitment@wmas.nhs.uk. I am interested in working for west midlands ambulance service but not sure what i need to do to get in..
Hi Stephanie…thanks for your query. I’d suggest that you have a look at the NHS Jobs website and search for ‘student paramedic’ and ‘West Midlands’ and that will give you the job description and application form. If you still have queries, it might be worth your while speaking to our Recruitment Team who can be contacted on 01384 215 555. Hi I am a qualified Pharmacy accredited checking technician and want to change my career to become a paramedic. Is there a conversion course? Hi Yvonne…probably best if you contacted our recruitment team for the answer to that. Hi Is there an upper age limit on training as a paramedic as a student or university entrant. I am late forties and currently volunteering as a CFR in London area. Hi Dan…we work with four universities – Coventry, Staffordshire, Wolverhampton and Worcester. Hi, i am currently going through the employment process to join AFA, i have been told that if you have had a single seizure within the last five years, then you cannot drive any vehicles for the service. is this right, because the dvla are happy for some one to drive after six months if it is not epilepsy. I’ve been invited to attend the first stage of the selection process but i’m not quite sure where i have to go. The address i’ve been given is The Academy, Dudley Road, Brierley Hill, West Midlands, DY5 1LQ but when i type that into Google Maps it doesn’t quite know where to put me. Taking ‘The Academy’ out of the address makes it pinpoint the Travelodge on Dudley road and i know that there’s one of your bases just behind that at the waterfront. Is that where i’m meant to go? I recently reapplied to become a student paramedic after failing the interview last month. I’ve spoken to a family member of someone who had to apply three times before successfully becoming a student paramedic. They said that on one of those attempts, he got to skip past the literacy, maths, driving and fitness assessments and go straight to the interview process, as the gap between his last application (in which he passed the assessments) was quite short. Is this true? If so, do i have to declare that i recently passed these assessments? The assessments are valid for 6 months so when you re-apply & is shortlisted & invited to attend the assessments you would just need to contact the Recruitment Team & ask for your scores to be transferred. You’ll then just undergo the assessments you haven’t already completed or the ones you have completed but failed. If you are applying & it is outside the 6 months since you completed the first assessments you’ll have to undergo all assessments again. Unfortunately, i failed the interview on Saturday. However, i’m still eager to become a student paramedic. I was told that you would have a better idea of when you were next recruiting on Monday. Just wondering if you had any more information on any more possible recruitment dates yet? Hi Brett…sorry to hear your disappointing news. We’ve passed your comment on to Recruitment who will come back to you directly. Hello, our switchboard number is 01384 215555.
thanks, i have another question, is it possible to enter into the partner universities for fdsc paramedic with the same entry requirements required for the student para post. i understand that you can apply for the student para post through the trust with 2 or more as levels, however at the partner universities they are different requirements. we are guaranteed the same job at the wmas trust if we apply through both these routes. Coventry uni are not lettting me enrol for the fdsc paramedic science however for the student para post with wmas i will be allowed to enrol for the fdsc degree. When will you be next recruiting for the student paramedic post?. I understand last year you recruited in March 2016 and then again in November 2016. Reading back through some of the threads you did mention that you might be recruiting later on in the year? No news on that front currently i am afraid – sorry. If you haven’t already, would suggest that you register on NHS Jobs and you’ll then get an alert as and when we do advertise. It would also be worth your while starting down the route (if you haven’t already done so) of either getting or at least applying for your C1 licence. How often do you advertise the post? Of course not all 300 student paramedics obtain there full C1, a week before their commenced date or some may not have satisfactory references/crb or some may even drop out from the employment offer, these spaces may still be available for someone else, are these positions then re-advertised? Hi Amina…we advertise as it becomes necessary – i simply can’t give you a time frame but undoubtedly we will re-advertise at some point, hence the recommendation to register in NHS Jobs. To apply, you MUST have at least applied for your C1, though having it is not mandatory at that point, but you will need to have passed it by the time you start, should you be successful. You are quite right that some of the successful candidates do not make it through for one reason or another. Those places will be awarded to those who already applied and were successful and may have been scheduled for later courses. If we ran out of successful candidates then yes, we would re-advertise. hello, i see that wmas have advertised something called a reserve list for successful applicants (student paramedic)for 2018 courses and assessments will take place in the coming months. why would successful applicants need to apply again, who is the post aimed at? Hi Amina…candidates who have been successful already don’t need to apply again. This is just to get more places / applicants ready for once we have got all current candidates onto a course – it’s just us getting ahead of the game if that makes sense? Could you tell me if you can re take any parts of the assessment if you don’t pass first time, without having to re apply? I have had problems with shoulder dislocations so worried about the fitness test and whether I can pass first time. I had shoulder issues in 2013 and then one issue in the last week but my assessment is coming up..I know from previous experience that after a few weeks of physio I’m usually fine so just wanted to check if I fail the fitness based on that would I be able to re take that without having to do everything else again? When are the applications for 2018? Or when do you think you’ll be next recruiting? Hi Sophie…great that you want to be a student paramedic. Unfortunately, we only advertised in July, so unfortunately we simply don’t know when we’ll next advertise. All I can suggest is to register on NHS Jobs and set up an alert fro when we do. In the meantime, please ensure that you have the requisite qualifications i.e. 5 x GCSE (A-C Grades) including English, Maths and Science, one A level or equivalent and if possible, have Cat C1 on your licence – this last bit takes a bit f time to get but having it would increase your chances of making it through the shortlisting. It is also worth ensuring you have some experience of the care industry, whether that is working in it or volunteering for something like St John or the Red Cross. Hope that helps and good luck.